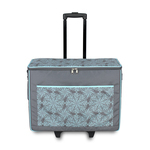 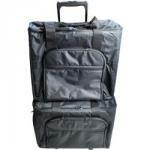 Brother CADXTOTEG Rolling Tote Grey for New Scan N Cut SDX Models Only, NOT for Prior CM Models. Brother CADXTOTEB Rolling Tote Blue for New Scan N Cut SDX Models Only, NOT for Prior CM# Models. 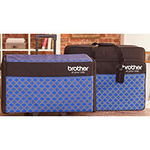 Brother SA532 Pacesetter Essential Organizer Pouch with 19 Pockets for Feet, Needles, Thread, etc.